Always remove jewelry before bathing or washing dishes. Apply hairspray and perfume 10-15 minutes before wearing your jewelry. To clean your Pearls, apply table salt to a wet cloth and gently rub. Dry and polish with a soft, clean cloth. Ask your Demonstrator for a special pearl jewelry cleaning cloth. Caring for your strand: Your strand should be the last thing you put on when you're dressing- after hair spray and perfume! After wearing, you should gently wipe your Pearls with a damp or dry soft cloth. Stringing: Pearl strands should be restrung every year or two depending on usage. Check your strand, and if you see any fraying of the thread, it's time to restring. Vantel Pearls strand professionals place knots between Pearls to offer the most security for your Pearls. Should your strand break, you only stand to lose a single Pearl. Restringing: Vantel Pearls is proud to offer this service to our customers. Strands purchased from Vantel Pearls can be restrung for a minimal charge. It is our goal to make every customer feel good about their purchase. To highlight your Pearl's natural beauty, our artisians design unique pieces, while adhering to the highest standards of quality. Vantel Pearls jewelry GUARANTEED against damage due to defects in materials or crafting (excluding normal wear and tear). -Your Pearl Jewelry should be put on after makeup, perfume or hairspray are used. The chemicals can harm your jewelry. -Pearl jewelry should not be submerged in water or cleaning chemicals. 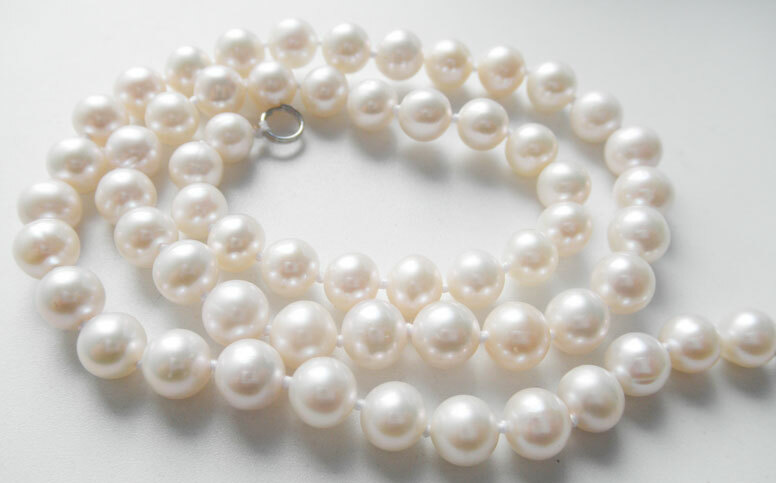 -Clean your Pearls with an untreated soft cloth after wearing. Prespirationas well as body oils can harm the jewelry. -For Sterling Silver, use a Vantel Pearls treated jewelry cloth on the metal only. Be sure to not apply chemicals to your Pearls. Vantel Pearls will re-set or replace a lost Pearl, re-set or replace lost gemstones, or an item may be returned for replacement (same item) due to manufacture's defect (excluding normal wear and tear) with a copy if your invoice. Please contact your Vantel Pearls Demonstrator for assistance. Items in new condition may be returned for exchange within 90 days of the purchase date with a copy of the invoice. Please contact your Vantel Pearls Demonstrator for assistance. Vantel Pearls offers jewelry repairs for Vantel Pearls jewelry. Fees are based on type of service requested. For jewelry service questions, please contact your Vantel Pearls Demonstrator for assistance.